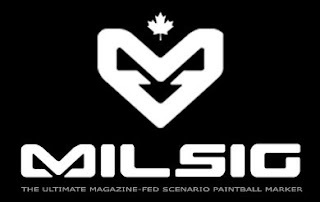 Nelson Lau, of Milsig, was kind enough to answers a few questions about Milsig in 2010. With RAP4 releasing their box mag this year, is Milsig going to be following suit? There will be a MILSIG box mag, and it will be released some time this year. If RAP4 beats our release date, so be it. I've never considered RAP4 to be a manufacturer or an actual competitor, they don't really make anything, they only copy. If they actually come up with their "own" box mag, it'd be a paradigm shift for them, and I congratulate them. Will 2010's primary focus be on the new MSG line? MSG is a product line I've planned for over a year, and we'll be slowly rolling out more products on the line. Will we see an expansion of the M-Series of markers, or will the Paradigm forever be the exclusive M-Series? There will be more M-Series markers, that's all I can tell you. Will Milsig be hosting/sponsoring any events this year? We'll continue running our limited paint ILAPS events in Vancouver, and we're looking for other fields/clubs/teams to use the same format. We'll also be launching IPMC (International Paintball Marksmanship Competition) in April. Will Milsig be looking to sponsor more teams, as they have done with DeathKorp in Quebec? How can readers' teams go about moving towards a sponsorship from Milsig? We have plans to sponsor up to 5 teams in Canada this year, the first being DeathKorp, we're already talking to a few other teams. We approach teams about sponsorship, we don't want teams to approach us, we've had far too many requests as it is, we don't need anymore. It looks like the long-delayed box mag will finally be released this year, which is exciting to say the least. Also, the possibility of new M-Series markers leaves me very interested. Whether they'll be in a reasonable price range remains to be seen. 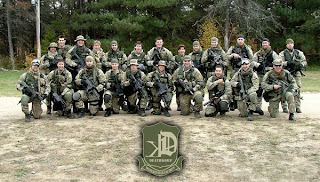 Also, a belated congratulations is in order to DeathKorp, who garnered a sponsorship from Milsig recently.